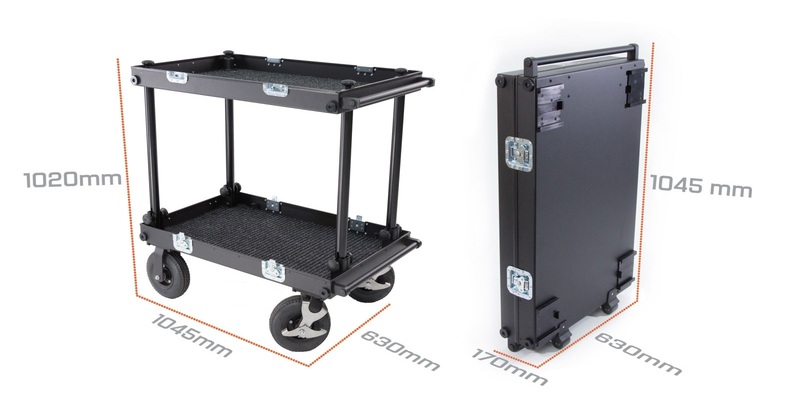 The SMARTONE double deck cart can be use to transport equipment or as a workstation. We applied durable materials to face the harsh on set conditions, tires are made from 4-layer gum placed on strong steel rims equipped with 2 manual foot brakes with force regulation for secure and save routing on most of surfaces, aluminum structure is lightweight and sustained enough to hold up to 200 kilograms, no tools required to attach of remove each wheel or any part of the cart what saves your time. 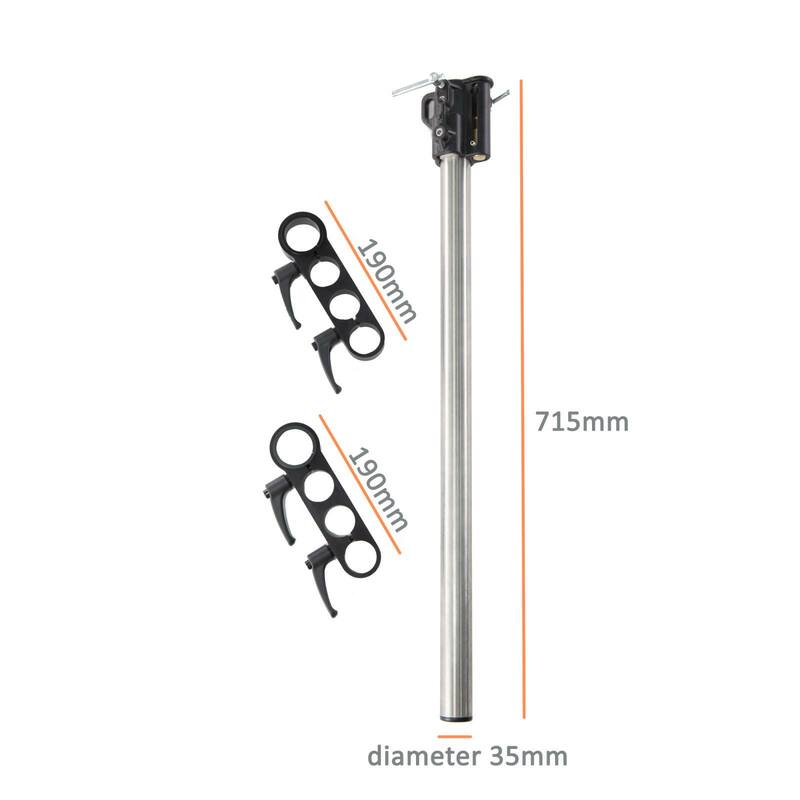 SMARTONE is super easy to collapse and ready to use in less than 2 minutes with additional dedicated accessories for installing heavy monitors, steadicam or headfixing. We developed a list of details which can improve the quality of usage like small transport wheels, props and deflects. 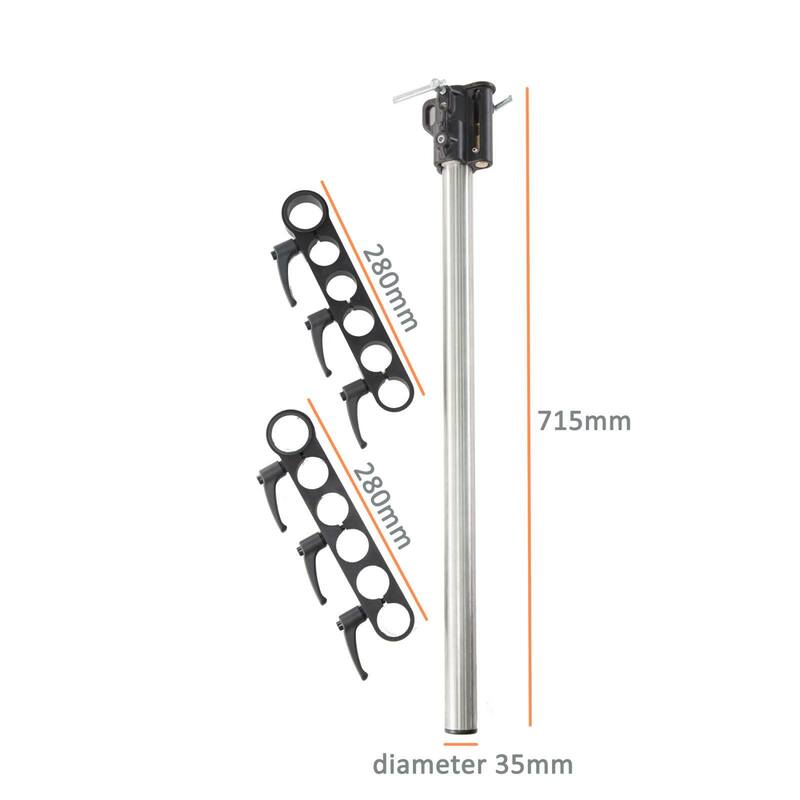 Compact size allow the cart to transport easily all parts in one case.